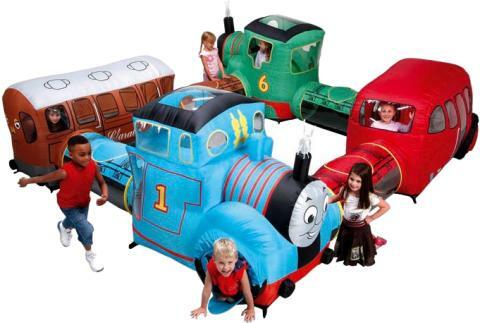 The Thomas The Tank Engine & Friends Airflow adventure is a network of fun-filled tunnels and turrets kept inflated by a continuous gentle airflow from a 3-speed blower. Features Thomas, Percy, Annie & Bertie The Bus at the corners. Children can crawl and slide their way around while the constant breeze keeps them cool and comfortable. 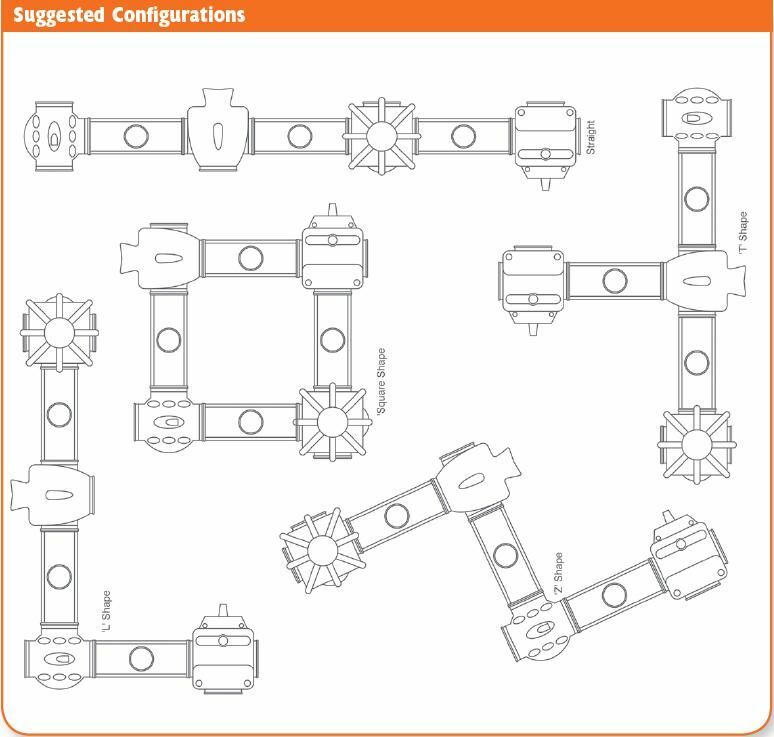 With special 'Airlock' entrances, observation windows and 'escape hatches', children can easily enter and exit the system and parents can easily see the children inside. Great for role play, group activities and an ideal toy to encourage social skills and co-operative play. Thomas The Tank Engine & Friends Airflow Adventure is only suitable for pre-school children. Discount price available when hired with bouncy castle. Why not add our Play Balls to add some more fun! (w)14ft x (d)14ft to allow for the inflation tube and air blower at the back.